2.) Not everyone is a “baby person” and nurturing is not automatic for every mother, even mothers of full term babies. It’s ok if you feel this way; many women do but don’t speak their feelings out loud. Happy Parents of Preemies Day. Deepest thanks to Graham’s Foundation for creating such a marvelous annual event! Events are being held all over the country so be sure to look for one in your area! If not, there are lots of events being held online! Preemie: Lessons in Love, Life, and Motherhood – NH’s 2014 Reader’s Choice for Literary Non-Fiction! Kasey Mathews will read from her award winning memoir Preemie. There will be a discussion and book signing after the reading. I have exciting news to share and deepest thanks to extend! 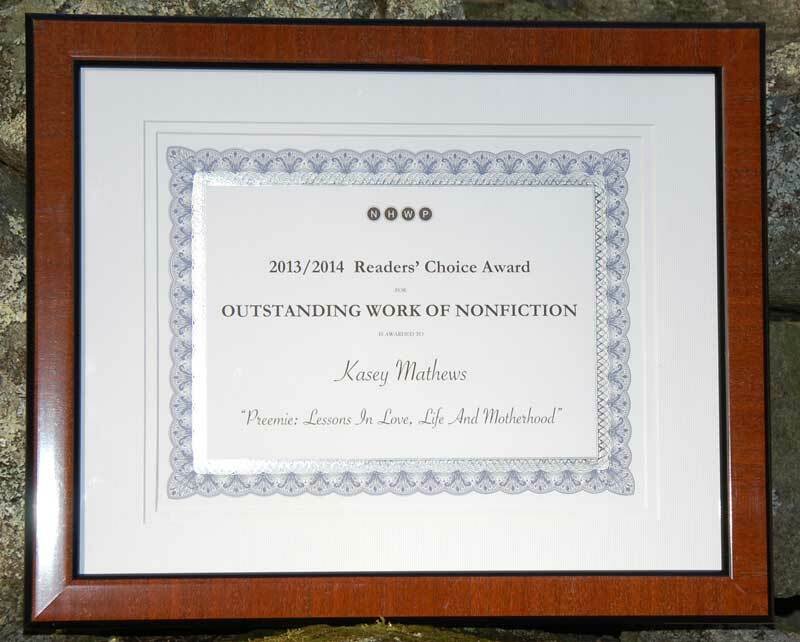 Preemie won New Hampshire’s 2013/2014 Reader’s Choice Award for Outstanding Work of NonFiction! Here’s the photo to prove it! There were many wonderful books up for the nomination, and it felt like a real long shot, but you, dear readers, did it! Your votes and help spreading the word made this award possible! With ski season over and spring finally in the air, I’m redesigning an entirely new, reenergized website, that I can’t wait to share with all of you! I hope that where ever you may be, physically, emotionally and spiritually, you’re experiencing the feelings of rebirth, renewal and hope that so often seem to arrive at this time of year. 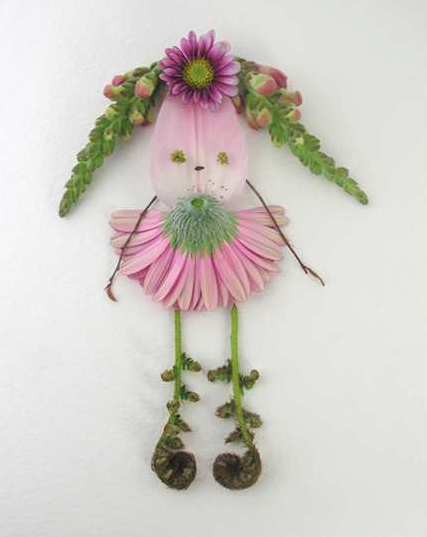 http://kaseymathews.com/wp-content/uploads/2016/07/AwardFeature.jpg 477 1000 Kasey Mathews http://kaseymathews.com/wp-content/uploads/2019/02/Kasey-mathewsNewLogo2019.jpg Kasey Mathews2014-04-14 09:31:442017-01-25 14:48:15Exciting News! With the return of light, I feel my creative energy awakening, and look forward to spending more time over here with you. May your days be full of love and light. November is National Prematurity Awareness Month and already shaping up to be a busy and exciting time. I wanted to be sure and tell you about a few exciting upcoming events. 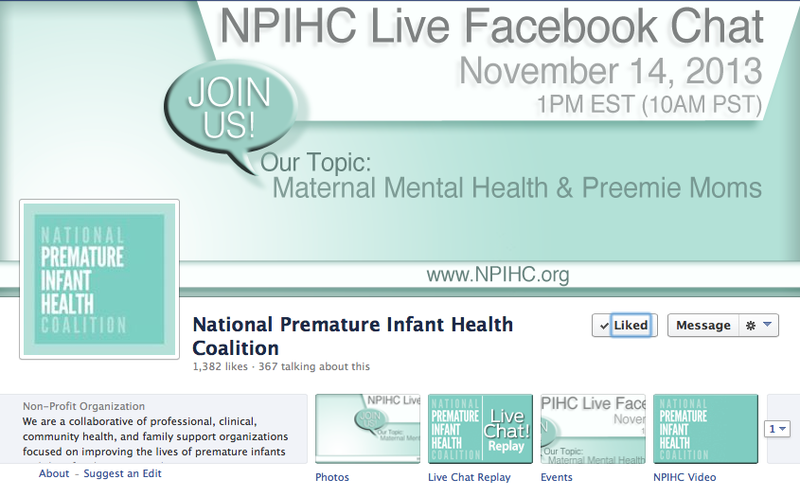 On Thursday, November 14th, I’ll be participating as a panelist on a live Facebook chat sponsored by the National Premature Infant Coalition (NPIHC). The topic of the chat is Mental Health for Preemie Parents, a topic near and dear to my heart. The chat should be lively and informative, and I hope you’re able to join in! I am also incredibly honored to be speaking at a conference sponsored by Fragile Beginnings and The March of Dimes on Sunday, November, 17th, from 11:30 – 2:00 in Waltham, Massachusetts. The conference is free and everyone who attends will receive a complimentary copy of Preemie! If you’re in the New England area, I hope you can make it! I’ll also be joining two book groups this November to discuss Preemie. If you’re in a book group and would like to spend a meeting discussing Preemie, I’d love to join you. Just send me an email at prematurejourney@gmail.com and if it’s within driving distance, I’ll be there! We can also Skype or FaceTime if distance is an issue. Finally, I have to share the latest comment someone posted on Preemie’s Amazon Book Page. It just made me smile to know this book is making a difference. Did Preemie have a positive impact on you? If so, perhaps you’ll feel moved to leave your own comment on the Amazon book page. Thanks! I hope things are going well in your world and wish you much joy and peace. Even though I’m taking a break from blogging here, I’m still blogging over on the Preemie Babies 101 site. You can read the beginning here and then head over there to read the rest of the fun interview I did with Andie! At the end of this past summer, I sat down with my 15-year-old boy and interviewed him about being the sibling of a preemie. After that interview, it seemed only natural to interview the preemie herself. So my daughter, Andie and I recently sat down across a table from each other at a Panera Bread. She slurped her chicken noodle soup, and I pretended to put on my journalist persona. Nice to meet you, Andie. Thanks for taking the time out of your busy schedule to meet me. So, tell me, do you think of yourself as a preemie? Not really. Well I mean, sometimes, like when I’m not good in math, or something else, like if I drink my water weirdly, like Tucker says I do, I wonder if other preemies do that? That’s how my mind works…I compare myself to other people and wonder about how other people do things. Do you ever tell people you were a preemie? If it comes up. Sometimes I want people to know. I mean, like, I don’t say, “Look at these scars on my tummy,” but I want people to know if they’re wondering. Like at the soccer party, when we went in the hot tub, and I was in a bikini and one of the girls asked what happened to my stomach. As I mentioned in my previous blog post, at this point written weeks ago, this fall has been a time of transition for our family. 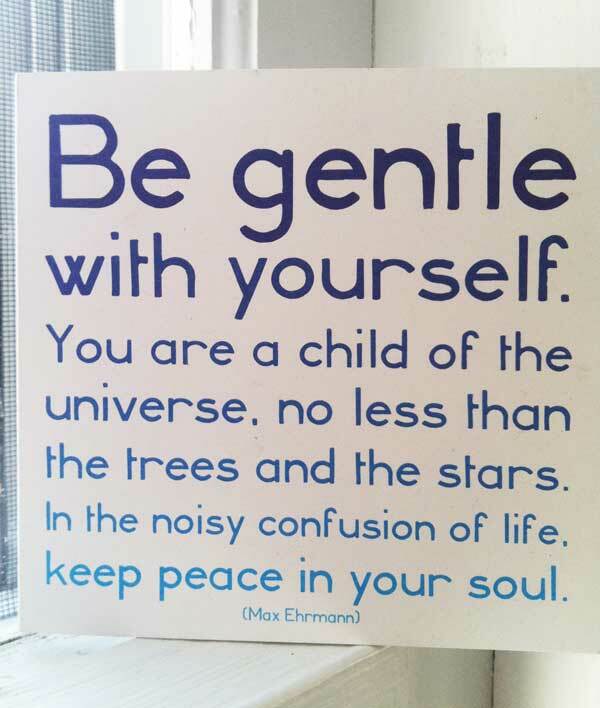 When we moved to New Hampshire six years ago, we fell in love with a small Waldorf School on top of a hill and knew it was the safe, warm, healing place we’d been seeking for our children. On top of another nearby hill, we found a 200-year-old house with fireplace hearths and apple trees and stone walls that whispered, “You’re home,” when we walked through the front door. Others spoke to us of high schools and local school districts, but we loved the Waldorf School and the old house, and besides, high school was forever away. and Tucker was graduating from 8th grade, his last year at Waldorf. And suddenly the issue of high school and school districts was upon us. And Tuck fell in love with a school 45 minutes away from our old home on top of the hill. And I wondered how I’d get him to that new school, and Andie to her 7th grade class in the Waldorf School. And thus began even more transition. And we soon discovered that our dear Andie is a child resistant to change, a child who needs an enormous amount of time to process decisions. Ultimately, she chose to move to the school where her brother had enrolled, but it was a spring and summer full of tears and great angst. And as much as Lee and I knew that new school was a wonderful fit for her, the frequent nights she cried herself to sleep left us lying in bed, wide-eyed, questioning our decision. And now here we are, a month into the new school year, with all those questions behind us, knowing that both children are exactly where they’re meant to be, broadening and thriving in their new school. And I finally let out an enormous exhale, only to find that I’m absolutely wrung dry. And all I want is for all of this change to be over and behind us. “I think we’re passed the transition phase,” I said to Lee last week. “That we’ve got this all figured out.” Because that’s what I do – jump in with both feet, give it everything I’ve got and aim for the finish line. Only once again, I’ve come to find out that the finish line doesn’t exist. transition – the process or period of changing from one state or condition to another. And isn’t that just what we’re constantly doing “changing from one state or condition to another” in each and every moment of everyday? Walking through the woods this past weekend, thinking about transition and where I am in my life right now, the same question kept running through my mind… What’s next?… What’s next?… What’s next? I walked in rhythm to that chant until I hardly recognized it was there. I walked on until I emerged from the woods and saw a friend out in her garden. I sat down on her stonewall and found my chant spilling out into formed words. “I don’t know what’s next,” I told her, explaining how straight out of college I’d started teaching in Boston. 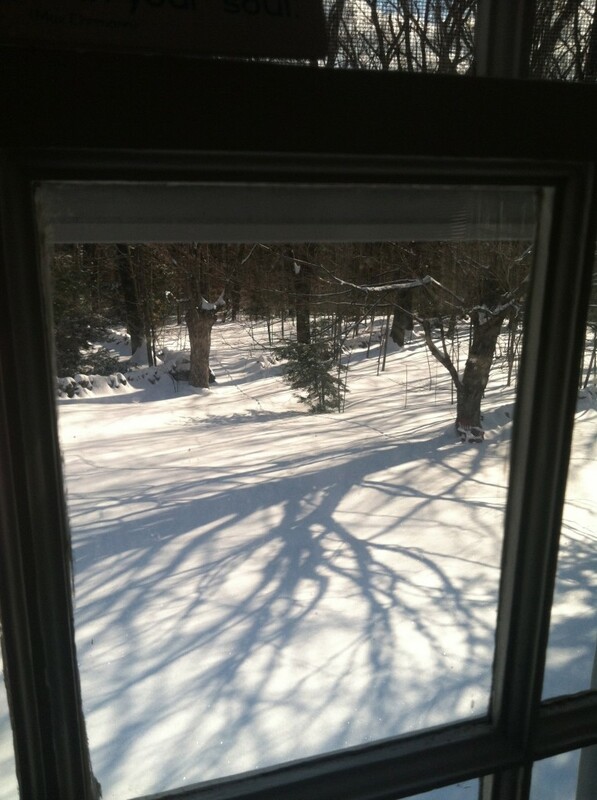 How just months after Tucker’s birth I’d started after-school creative writing workshops, and how upon moving to New Hampshire, I’d thrown myself into the process of writing, publishing and promoting a book. And now, I had no idea what was next. Picking up a few of the hydrangea she’d just cut, my friend paused. “I guess I’m using this time in my life to refill my well,” she said. Her words seemed to float in the air, enveloping me in their simplicity. “You’re allowed to do that?” I asked, both of us laughing and sighing simultaneously. The rest of my walk home brought a new theme song; the What’s Next song, replaced by the Refilling My Well song. And that new music washed over me like a joyous symphony. I’m just discovering what refilling my well looks like, but I’m pretty sure that in between making breakfasts, packing lunches, washing soccer uniforms, gluing letters on poster board projects and driving back and forth to school and soccer games, it involves lots more long walks, yoga classes, hand-written letters to old friends, wandering through garden and vintage shops, meditating on my yoga mat, diving into the stack of books piled on my bedside table and filling the pages of my black and white composition notebooks with new thoughts, stories and observations. What I also see in that “Refilling My Well Picture” is a more present, centered me, ready to meet and welcome my children back into our home, the place that waits for them as they move further and further out into the world. This blog has been a place I’ve so loved meeting you every week for the past couple of years, but I feel it’s now time to close my computer for a while and allow those fresh story and writing ideas to emerge as I begin this well-filling process. I will so miss our connection, but as heavy as my heart feels, I know for now, that this is the right decision. I’d love to stay in touch and hope we do through my Facebook pages – Kasey Mathews & Preeemie: Love, Life and Motherhood, and there’s also Twitter or you can email me at prematurejourney@gmail.com. Thank you so much for being a part of this journey and allowing me to share in yours. I am deeply grateful. I haven’t had much time to write over the past few weeks because this fall the kids have started at a new school. It’s been a HUGE transition. When time allows, I want to write more about this change and the process we went through to get to this point, but in the meantime, I watched this Ted Talk during the summer months and showed it to both kids before they began the journey at their new school. Last week, I sat down on the first orientation day at our new school in an auditorium full of visibly nervous students and parents. When the head of the school stepped to the microphone and began her talk with the words, “You belong here…” a warmth spread across my chest and I relaxed back into my chair, knowing that we were all exactly where we were meant to be. I hope that your fall is off to a wonderful start and any transitions in your world are going smoothly!